For well over a decade, aging populations around the world have looked at the abundance of available organs in China as a sort of medical miracle. In their home country, they might have face death by organ failure while they waited a year or two for a donor: In China, hospitals openly advertised a tissue-matching organ with in two weeks. While it was increasingly well-understood in international transplant circles that these organs were coming from executed prisoners, by the end of 2005, China had attracted thousands of foreign organ transplant tourists from every continent on earth. After witnesses accused the Chinese communist regime of harvesting organs from living Falun Gong practitioners in March 2006, foreign organ tourism did not come to a halt, but many of the operations went underground. Subsequently, WOIPFG, along with others in the international community, began an investigation into organ harvesting that is now in its ninth year. WOIPFG has concluded that many Falun Gong petitioners who did not report their names when being illegally detained have been secretly imprisoned and coded as living organ donors. The year 2000 marked a watershed in China’s organ transplant industry. Hospitals across China, large and small, began to provide the facilities and the surgical teams that would culminate in the industries’ explosive growth. Even some small-scale hospitals or specialized clinics, which lacked the proper qualifications to perform organ transplants, began performing organ extractions and transplants. At its peak, nearly 1,000 hospitals would be performing organ transplant operations. Six months earlier, in the summer of 1999, Beijing had made the decision to outlaw a widespread spiritual practice known as Falun Gong (or Falun Dafa). According to the CCP Public Security Department’s investigations, starting from May 1992 until July 1999, the number of Falun Gong practitioners had grown from a handful of people to somewhere between 70 million and 100 million practitioners. From the CCP perspective, this was a significant milestone; although Falun Gong was widely perceived, even in Chinese Communist Party circles, as a non-violent movement which stressed the ethical principles of truthfulness, compassion and forbearance, the number of practitioners now outnumbered the 65 million members of the Chinese Communist Party. Under instructions from former CCP head Jiang Zemin, a comprehensive persecution against Falun Gong practitioners – waged in the state-controlled media and in the streets themselves - began on July 20, 1999. In response, millions of Falun Gong practitioners traveled to Beijing to publicly appeal for an end to the repression. Initially, in the late summer and early autumn of 1999, most of the practitioners were rounded up and, following a relatively short detention, forcibly taken back to their homes. Yet upon their return, the practitioner’s families –regardless of their relationship to the Falun Gong practice - were often included in the ever-widening dragnet, unemployment, school dismissals, and homelessness followed. At the same time, the first deaths of practitioners in custody were emerging across China. A second surge of Falun Gong practitioners came to Beijing to appeal in 2000 to 2001. To avoid implicating their families and workplaces in a persecution that had no apparent legal restraints and was becoming increasingly violent, this time, many refused to reveal their names or other personal information to the police. The numbers were extraordinary; according to the Beijing Public Security Bureau’s internal information, as of April 2001, the number of Falun Gong practitioners who were arrested when petitioning in Beijing and had their names registered by the police, had reached fully 830,000. By the end of 2001, the end of the peak period, the Beijing Public Security Bureau, employing the increased numbers of steamed buns that had been consumed, estimated that there had been approximately one million Falun Gong in Beijing on any given day. It may seem odd to use food consumption as a benchmark, but this may indicate that the Public Security Bureau was no longer expected to keep careful arrest records. As many of these “nameless” practitioners could not be registered or sent back home, they were promptly transported from short-term detention centers into the Laogai System (Labor camps, prisons, black jails, psychiatric wards, and long-term detention centers). Yet the CCP’s prisons and labor camps across China were already filled to capacity. As a result, the CCP transferred many of the nameless Falun Gong practitioners from the existing Laogai System into little-known underground prisons, labor camps and specialized concentration camps in remote areas. In this way, several hundred thousand Falun Gong practitioners (mainly from Northeast China, North China and rural China) simply disappeared from any existing record. It was not until years later that the forced disappearance of hundreds of thousands of Falun Gong practitioners was correlated to the new-found abundance of healthy organs available upon demand for organ transplants. In March 2006, a former surgeon’s wife, a veteran military doctor from Shenyang Military Region and other informants began to emerge, testifying that the CCP was harvesting organs from living Falun Gong practitioners on a significant scale. As a result, Canadian human rights lawyer David Matas, former Canadian MP David Kilgour, independent investigator Ethan Gutmann and others, joined the ranks of those who have investigated these accusations. Collectively, our unanimous assumption is that the multitudes of nameless practitioners comprises both a stockpile and a continuing supply-line for the majority of the live donors that fuels China’s organ transplant industry today. We spoke with Chen Qiang, a kidney broker for People's Liberation Army (PLA) No. 307 Hospital in Fengtai District, Beijing. He stated that “they could just record code numbers” for nameless practitioners and that government officials, and the prison system operated together in the trafficking of organs from Falun Gong practitioners, “like a coordinated supply line.” He could also provide materials to confirm that the supplied organs were from Falun Dafa practitioners. A: Hello, is this Xiao Chen? A: Is this Chen Qiang? B: Yes, this is. Speak. A: Hello. Last time I talked to you about contacting the kidney supply sources. How is it going? B: How to positively identify a Falun Gong practitioner, well, when the time comes --- when the time comes, then on our side, our boss will have people show you some information, you know. He will show you the information and data. You can rest assured. We have connections with the government officials, as well. There are connections to high ranking officials. You know, I will show you such materials even if you don't ask me for them. You know. B: Now they are all in prisons. Normally, they were sent away from Beijing, and from there transferred to other places. B: You are talking about what was going on around 2003. I know exactly what you are talking about. They started to not reveal their name in 2003. You see, starting from now, the Falun Gong (practitioners) are like that…so you have to allocate some from the 2003 files, you know. A: Oh, so there were more cases in around 2003? B: Of course. There were tons of Falun Gong (practitioners) on file around 2003. A: You see, the 50,000 yuan as mentioned before is no problem. I tell you, I will give you 20,000 yuan extra to make you feel at ease. Later, you just tell me how much money you spent, you can just tell me an amount. I will feel more at ease. B: This thing, I also need to use contacts to find it for you. The money they ask, I think it will be around 200,000 yuan, you know. B: Now [the Falun Gong practitioners] have all been transferred to remote prisons. They [the officials] need to get the organs from there; that takes money. The majority of the money must be paid to people over there, you know. A: Yes. You know that several years ago, they secretly detained many Falun Gong practitioners, who went to appeal but did not provide their names. There were no records, no registrations. B: Yes, it is quite normal, you know … If the Falun Gong practitioner did not give his name, he would be assigned a code number, you understand? B: If they could not find out their real names, they could just record code numbers, you know. B: And also according to their fingerprints, you know, things are like this way now. In this society, if one doesn’t have, doesn’t have [some power and authority], he cannot do such things, especially these kinds of things, you know. B: After such a thing is done, I tell you. It is not that I want to tell you something. Hum, specific details such as the names of some people, I cannot tell you, you know. B: Like our boss, like the connections to the detention centers, I cannot tell you. Under these circumstances, I cannot talk casually. How can it be casual? We have the connections. Since we are doing this business, we have people in every department. How can you get it done without connections? B: Such an operation is like a coordinated supply line, you know. Mainland China’s Fazhi Wanbao (Legal Evening News in English) reviewed the CCP’s “re-education through forced labor” system in an article on November 16, 2013 entitled “The Largest Number of Inmates in Forced Labor Camps Reached 300,000”, before labor camps were abolished at the end of that same year. According to the report, after the 1990s, the number of inmates in the CCP’s labor camps rose year after year and reached a peak of 300,000 per year. Although it began to decline in 2006, there were still 90,000 inmates in 2012. The period of time, “in which there were up to 300,000 inmates per year”, mentioned by the Legal Evening News article was between 2000 and 2006. This is the time period, when the number of Falun Dafa practitioners brutally persecuted by the CCP was at its highest point. A rough calculation of 300,000 people per year, from 2000 to 2006, suggests that the CCP held approximately 2.1 million Falun Gong practitioners in labor camps. In addition, the US government mentioned in its 2008 Religious Freedom Report that in China’s labor camps, more than half of the inmates were Falun Dafa practitioners. Based on this, during the six years from 2000 to 2006, approximately 1.05 million Falun Dafa practitioners were detained in labor camps. This calculation happens to concur with Ethan Gutmann’s estimate (even though it was based on a survey method using on a refugee sample of 50 individuals), that 1 million to 500,000 Falun Gong are incarcerated in the Laogai System at any given time, and 1.2 to 2.6 million were in the Laogai System from 2000 to 2008. In summary, we believe that during the 14 years between 1999 and 2013, up to several million Falun Dafa cultivators have been imprisoned in the Laogai System by the CCP. 33-year-old Chen Aizhong was arrested when he went to Beijing to appeal for Falun Gong on New Year's Day in 2001. On Sep.12, Chen, who had lost the use of his hands and legs from torture, was illegally sentenced to three years of forced labor. He was secretly detained at the Lotus Pit Forced Labor Camp in Tangshan. On the 9th day, during force feeding, his heart stopped beating suddenly. He was sent to Tangshan People's Hospital for so-called rescue but died there. When his eldest sister Chen Shulan saw his apparently cleaned up corpse in the mortuary, she noticed bloodstains on his lip, two ears swollen with dark purple color, right ear hole full of blood. When nobody paid attention, she suddenly opened his shirt and saw an over 10cm long wound on his left chest. From his two shoulders all the way to the back, there was large area of bruises. Chen Shulan urged to take photo and forensic post-mortem examination, and demanded to see her brother's detailed death report. While she was insisting on her three requests before signing any document, Chen Aizhong's corpse was secretly cremated without consent. His family didn't even get his cinerary casket. Zhao Yingqi was a 59-year-old worker of the South Fangezhuang Mine Management Section in Guye District of Tangshan City. Disabled with an injury on the job, Zhao recovered after practicing Falun Gong. Refusing to reject the practice, Zhao was imprisoned at the Lotus Pit Forced Labor Camp in Tangshan on Nov. 20, 2002, and died 40 days later. When his family member saw the corpse, his skull was caved in and eyes were wide opened. Bloodstains remained from right mouth corner to ear, hands and nails were dark purple extending all the way to the back and neck. A piece of flesh was missing from his right rib area, and his deflated abdomen was filled with water. At 7pm on Dec. 30, hospital informed his family of his death and put him in a mortuary. His wife was forbidden to wash his dead body and dress him the last time. The death notice was incomprehensible; “8:02pm, Jan. 2, 2003.” In addition, a temporary doctor's note showed that on Jan. 1, 2003, Zhao had somehow accrued a “301 Military Hospital” expert consultation fee of 1000 yuan RMB (301 Military Hospital has since become notorious as a Falun Gong harvesting center). The hospital also charged his family over 10000 yuan RMB of medical expense and 3090 yuan RMB of senior cadre settlement fee two days after Mr.Zhao’s death. When questioned by Mr.Zhao’s family member who the senior cadre was, the hospital couldn't hide the whole truth anymore: "Well, the forced labor camp has to spend the money, because city Party secretary Chen Man had issued an order in person to rescue at all costs." Zhao Yingqi was put in the mortuary on Dec. 30, 2002. Yet it is far from clear that he was actually dead at the time. Two days later, what actual so-called treatment did the 301 Military Hospital expert give Mr. Zhao and the senior cadre whom the city Party secretary Chen Man even order personally to rescue at all costs? In 2000, as the mass incarceration of Falun Gong practitioners began, the organ transplant industry in mainland China entered a remarkable period of exponential growth. An article entitled “The Maze of Organ Donation: Only Organs are Visible, but not Donors” was published in the March 2010 issue of Southern Weekend. The “year 2000 was a watershed in China’s organ transplant industry” the article states. “In 2000, the number of liver transplants in the entire country increased by 10 times in comparison with the number in 1999; and in 2005, that number tripled. ” At the same time, the number of hospitals engaged in performing liver transplants drastically increased from 19 in 1999 to more than 500 in April 2006. (By contrast, in the United States, the country with the most developed organ transplant industry in the world, only approximately 100 hospitals can perform liver transplants, and the number of hospitals that perform kidney transplants is no more than 200.) There were only a mere 100 or so liver transplant cases performed in the 20 plus years prior to 1999 in mainland China. By contrast, from January 1, 2005 to June 24, 2006, there were 5,680 recorded cases of liver transplantation in China. Even within the one-year period from June 24, 2006 to June 24, 2007, while the medical world was fully aware of the allegations of the CCP harvesting organs from Falun Gong practitioners, there were still 4,231 cases of liver transplantation performed in mainland China. The First Affiliated Hospital of Zhejiang University School of Medicine completed two cases of orthotropic liver transplantation from 1993 to 1997. After 1999, the number of transplants drastically increased. As of July 8, 2014, the hospital has performed 1,521 cases of liver transplantation.From July 1977 to December 1999, the hospital performed 898 cases of kidney transplants, with an average of 40 cases per year. As of May 2012, the hospital has performed a total number of more than 3,300 cases of renal transplantation. Currently, it performs 280 cases of kidney transplant per year, which is seven times the number of kidney transplants prior to 1999. In May 1994, Shen Zhongyang presided over the first liver transplant operation performed in Tianjin First Central Hospital. Within 3-5 years’ time, the hospital completed 5-8 cases of liver transplantation. After 1999, the number of liver transplants drastically increased. As of 2004, Tianjin First Central Hospital’s Orient Organ Transplant Center has performed 2,248 cases of liver transplantation. Every year, it performs an average of more than 300 cases of kidney transplantation and an average of 600 cases of liver transplantation. Tianjin First Central Hospital’s transplant department has also assisted nearly 47 medical institutions in 16 provinces to perform liver transplants and has assisted other hospitals to perform nearly 300 liver transplants. From 1978 to June 2000, the Shanghai First People’s Hospital performed 1,120 cases of renal transplantation, with an average of 50 kidney transplant operations per year. From 2001 to the end of 2005, the hospital performed a total of 767 cases of kidney transplantation, 456 cases of liver transplantation and a total of 1,501 cases of bone marrow, heart, lung, liver-kidney, pancreas-kidney and cornea transplantation. It performs 153 cases of kidney transplantation on average per year. Zhujiang Hospital of Southern Medical University performed 1,030 cases of renal transplantation from June 1990 to February 2000, with an annual average of 100 cases. From June 2000 to April 2001, the hospital performed 204 cases of kidney transplantation. From 2000 to January 2003, the hospital completed a total of 628 cases of kidney transplantation in almost three years, with an annual average of more than 200 cases. Fuzhou General Hospital of Nanjing Military Region performed 808 cases of renal transplantation from December 1979 to September 1998, with an annual average of 39 cases. From January 2000 to December 2004, in less than five years, the hospital performed 877 cases of renal transplantation, with an annual average of 175 cases. Xinqiao Hospital of the Third Military Medical University, from 1978 to 1984, performed 84 cases of renal transplantation, with an annual average of 14 cases. From January 2003 to August 2006, the hospital performed 585 cases of first-time renal transplantation for patients aged 20 to 50 years, excluding the elderly patients and renal retransplantation patients. The annual average is larger than 159 cases. The PLA General Hospital, from October 1977 to December 31, 1998, performed 1,003 cases of renal transplantation, with an annual average of 47 cases. From January 1999 to December 2004, the hospital performed 1,034 cases of kidney transplantation, with an annual average of 172 cases. Southern Medical University’s Nanfang Hospital, from 1978 to 2001, performed a total of 2,123 kidney transplants, with an annual average of more than 90 cases. From 2002 to July 2009, the hospital performed at least 1,677 cases of renal transplantation, with an annual average of more than 200 cases. Affiliated Changzheng Hospital of Second Military Medical University, from June 1978 to February 1998, performed 1524/1604 cases of allogeneic kidney transplantation, with an annual average of 80 cases. From March 1999 to December 2002, the hospital performed 680 cases of renal transplantation, with an annual average of 180 cases. Since 1999, many hospitals or medical departments, which lack the technical qualifications and permissions to perform organ transplants, were quickly converted into organ transplant centers and labs for tissue-matching, suggesting a “gold rush” pattern of medical investment. The dates and basic information of some of these newly founded medical units are presented in the table below. Established in April 2002. The Organ Transplant Center of the PLA No. 309 Hospital jointly founded by the Departments of Urology, Hepatobiliary Surgery and Cardiothoracic Surgery. In August 2005, Nephrology and Hematology Departments merged into the transplant center. Officially designated as the “Organ Transplant Center of the PLA” by the Health Department of the PLA’s General Logistics Department in March 2006. Renamed “Organ Transplant Research Institute of the PLA” by the Health Department of the PLA’s General Logistics Department in 2011. As the hospital’s key revenue center, the Organ Transplant Center saw an increase in its gross revenue from 30 million yuan in 2006 to 230 million yuan in 2010 - an eightfold increase in five years. A Liver Transplant Center was established in the PLA Second Artillery General Hospital in July 2004. The hospital’s Hepatobiliary Surgery Department and Liver Transplant Center started clinical liver transplants in 1999. The hospital claims that its liver transplant surgeries are now routine. Hepatobiliary Surgery Department claims to have established a fast and unobstructed channel to procure donor livers, not only from Beijing and its surrounding areas, but also from other provinces and cities without delay. A Liver Transplant Center was established in the PLA No. 302 Hospital in 2005. A Kidney Transplant Center was established in the PLA No. 307 Hospital in 2000. Approved by the General Logistics Department of the Armed Police Forces, an Organ Transplant Research Center in the General Hospital of Armed Police Forces was established in April 2002. Beijing You’an Hospital, affiliated with Capital Medical University, established a Liver Transplant Center in March 2003. In August 2004, the Sino-US Cooperative Center for Liver Transplantation was jointly set up by the hospital with the Starzl Organ Transplant Center of the University of Pittsburgh. Peking University Institute of Organ Transplantation, (formerly named Organ Transplant Center at Peking University), established in October 2001 under the personal guidance of Han Qide, Vice Chairman of the standing committee of the11th National People’s Congress. Organ Transplant Center in the Third Hospital of Peking University established in October 2001. Organ Transplant Center in Haidian Hospital established in November 2003. Established October 30, 2001.The Zhongshan Hospital Organ Transplant Center performs more than 100 organ transplants every year, with an annual increase of 50%. On December 8, 2003, a Collaborating Centre was established jointly by the Organ transplant Center of Zhongshan Hospital, Fudan University, and Thomas E. Starzl Transplantation Institute of the University of Pittsburgh in the US, the world's largest organ transplant organization. Shanghai Clinical Center for Organ Transplantation was established In August 2001, affiliated with the First People’s Hospital in Shanghai. The Center was founded by combining “Shanghai Organ Transplant Research Center” and “Shanghai Tissue Typing Center.” Initially relying on kidney transplants, the hospital currently claims to have performed transplants of the heart, liver, and combined transplants of liver-kidney, pancreas-kidney, kidney-adult pancreas islet cell and other substantive transplants including corneas, allogeneic finger, fetal pancreas islet cell, bone marrow, peripheral blood stem cell and cord blood stem cell. Organ Transplant Center in Shanghai Ruijin Hospital was established in 2002. In 2008, Shanghai Thoracic Hospital set up a “Lung Transplant Clinical Center”. The center provides technical support to many domestic hospitals in carrying out clinical lung transplantation. Tianjin First Central Hospital Organ Transplant Center created in 1998 by Shen Zhongyang. Tianjin Institute of Organ Transplantation established in 2002. Center contains transplant surgery, transplantation medicine, transplant ICU, transplant follow-up, anesthesia, imaging, pathology, ultrasound, transplant laboratories and other departments.Center is able to simultaneously carry out liver transplantation, kidney transplantation, pancreas transplantation, small intestine transplantation and heart transplantation. The largest professional transplant organization in China and the largest organ transplant center in Asia. Southwest Hospital started clinical liver transplantation in May 1999. Designated as Key Laboratory of the PLA for liver transplants in 2001. International Collaboration Center was established in 2004 with the cooperation of Southwest Hepatobiliary Surgery Hospital and Thomas E. Starzl Transplantation Institute of the University of Pittsburgh in the US. The hospital’s Organ Transplant Department and Transplant Matching Laboratory were established in 1999. Approved by the Ministry of Health, the Transplantation Medical Engineering Technology Research Center was formally established in the Third Xiangya Hospital, Central South University, in 2005. During the first three years of its operation, the center successfully carried out hundreds of cases of piggyback liver transplantation and over 1,000 cases of kidney transplantation, as well as multi-organ combined transplants of liver-kidney, liver-pancreas, liver-intestine and pancreas-kidney. Also performed are spleen transplantation, pancreas transplantation, heart transplantation, split liver transplantation and liver transplantation between relatives, and thyroid and parathyroid transplant, as well as transplantation of cells from liver, spleen and pancreas. The Key Laboratory for Multi-organ Combined Transplantation Research, under the Ministry of Health, was established in March 2001. Located in the First Affiliated Hospital of Zhejiang University School of Medicine, the laboratory has built up dedicated clinical sites for liver transplantation, kidney transplantation, bone marrow transplantation, and heart and lung transplantation. Their multi-organ combined transplantation project has been recommended by the Ministry of Health and provides technical support to more than 20 province and municipal hospitals. The Organ Transplant Center in the Changzheng Hospital was established in early 2003 by combining the Department of Urology and General Surgery Liver Transplantation Department. On December 17, 2003, the center was approved by General Logistics Department of the PLA to become the first organ transplant institute of the PLA. Extremely short donor organ wait times: According to the data from the US Department of Health and Human Services, the average U.S. wait time for donor livers is two years, and the average wait time for kidneys is three years. However, a number of hospitals in China said that their patients’ donor wait time is so short, that the wait time is measured in weeks. The donors had excellent health when they were still alive, and the vast majority of them were young men with “no history of alcohol abuse” or any other bad habits:The medical papers’ descriptions of these “donors” were mostly “with no history of long-term medication”, “no Hepatitis B, Hepatitis C, malignant tumor or chronic illnesses”, “no history of alcohol abuse, diabetes or other illnesses” and “no fatty livers” . And the health conditions of these “donors” from many provinces’ hospitals were equivalent. China’s public security and judicial systems are directly involved in organ transplantation and tissue typing:The Ministry of Health Forensic Pathology Key Laboratory established in October 1999 at Xi’an Jiaotong University’s Forensic Department was jointly founded by the Ministry of Health, Ministry of Public Security and the Supreme People’s Court. On its website, the laboratory claims, “our research in organ transplant, tissue typing and other areas has reached an advanced international level. ” The forensic laboratory was supposed to provide material evidence for criminal cases. Instead, it has become involved in organ matching for transplantation, which should be an exclusive function of the Ministry of Health. This has turned the Ministry of Public Security, which has been kidnapping and detaining a large number of Falun Dafa practitioners, and the judicial system, which controls the issuance of death sentences and is capable of providing forged death sentence certificates, into partners in murdering people for organ transplants. In another example, Kunming Forensic Hospital in Yunnan Province also has a hemodialysis kidney transplant center, whose forensic evidence laboratory used to perform some paternity tests. However, in 2001, the laboratory started tissue typing for organ transplants. It claims to have “completed several thousand cases of tissue typing for organ transplants, from 2001 to 2008. ” And it has jointly performed 1,537 kidney transplants with Dongguan Taiping People’s Hospital’s Organ Transplant Center. · In the Affiliated Hospital of Nanjing Medical University, from 2005 to 2007, 112 donor livers’ warm ischemia times were between 0 and 10 minutes, with an average of 3.96 minutes. 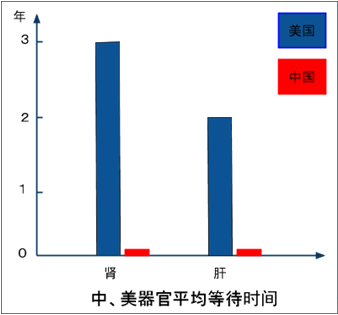 · In the PLA Second Artillery Force General Hospital, from 2004 to 2007, 103 donor livers from “healthy young people’s cadavers” actually had warm ischemia times of 0 to 5 minutes. · In the Second Military Medical University-affiliated Changzheng Hospital in Shanghai, from 2001 to 2004, 240 donor livers had warm ischemia times of 0 to 8 minutes. · In the Tianjin First Central Hospital, from 2003 to 2005, 200 donor livers excised from brain-dead non-heart-beating cadavers had warm ischemia times of less than 8 minutes. This indicates that the liver excision process is the process of turning the “donors” from living human beings to “cadavers with no heartbeats”, and the entire process was premeditated. Corneal transplants all used fresh corneas excised from young adults that suffered “sudden deaths”:In China, no matter how large or small the hospitals are, or where they are located, as long as they perform corneal transplants, their medical papers on corneal transplants have surprisingly similar descriptions of the “donors.” The most frequently used term is “young adult that suffered sudden death”. Also, the corneas were usually harvested within 10 minutes to several hours after the donors’ deaths, and the transplants would take place 10 to 24 hours after the corneas were excised. What were the causes behind the “sudden deaths” of such a large number of “young adults”? How could the news of their “sudden deaths” be communicated to the various hospitals involved in extremely short times, so the hospital’s teams could manage to arrive at the scene of death in time to harvest “fresh” corneas? For example, the First Affiliated Hospital of Guangxi Medical University, from 1995 to 2005, used fresh corneal grafts from young adults who died sudden deaths in 216 transplant cases. All eyeball excisions were performed within one hour of the donors’ deaths. In 81 cases of corneal transplants performed by the Beijing PLA Air Force General Hospital from 2001 to 2005, the “donors” were 18 to 35 years of age, with no eye diseases, no vital organ illnesses and no infectious diseases. And their corneas were transparent. All eyeball excisions were performed 30 minutes to 6 hours after death. All corneal transplants were performed within 12 hours of the removal of the corneas. Henan Province’s Hospital of Occupational Diseases, from 2003 to 2007, performed 121 corneal transplants, in which the “donors” were young adults who died sudden deaths. In 119 corneal transplants performed at Anhui Armed Police Corps Hospital from 1999 to 2008, the “donors” were young adults who died sudden deaths. The corneas were excised within one to two hours after the donors’ deaths.In 73 corneal transplants performed at the First Affiliated Hospital of Kunming Medical University from 2006 to 2009, fresh cornea grafts were obtained from healthy young people who died sudden deaths. The time between their deaths and corneal excisions were 10 minutes to one hour. For over a decade, the Chinese medical establishment has attempted to explain to the Western medical world that the explosive growth of mainland china’s organ transplant industry after 1999 is simply due to a growing number of voluntary organ donors, a vast pool of executed prisoner donors or individual private organ transactions (or various combinations thereof), these explanations collapse under even the lightest of scrutiny. The pilot project for mainland china’s human organ donation system did not start until march 2010, and the post mortem organ donation rate is only 0.6ppm (0.6 per 1 million people) : In March 2010, the Chinese human organ donation system’s pilot project started in Shanghai, Tianjin, Liaoning Province, Shandong Province, Zhejiang Province, Guangdong Province, Jiangxi Province, Xiamen of Fujian Province, Nanjing of Jiangsu Province, and Wuhan of Hubei Province. On April 20, 2010, Guangdong Province’s Human Organ Donation Pilot Project officially went into operation. According to Huang Jiefu, China has about 300,000 patients annually who are in urgent need for organ transplants, yet there were only about 10,000 transplant operations per year. At the present stage, the Chinese citizens’ post mortem organ donation rate is a low 0.6ppm (0.6 per one million people), and China is among the countries with the lowest organ donation rates in the world. Professor Chen Zhonghua of the Tongji University School of Medicine, which is affiliated with the Huangzhong University of Science and Technology, stated that from 2003 to August 2009, there were only 130 cases of successful organ donation from deceased mainland Chinese citizens. Also according to the data released on the 2014 Chinese Organ Transplant Conference, in the three-year period from 2010 to 2013, there were only 1,448 cases of organ donation from deceased mainland Chinese citizens. Death Row Prisoner Organ Donors can Provide Only a minority Portion of the Organ Sources: According to Amnesty International’s records, from 1995 to 1999, the annual average of executed death row prisoners in China was around 1,680 per year. Between 2000 and 2005, the average number was 1,616 per year. These numbers would vary from year to year, but overall, the average numbers before and after the persecution of Falun Dafa practitioners started were about the same. While the Amnesty International numbers have never been considered definitive -- and indeed, may be a lowball estimate –refugees from the Mainland anecdotally support the premise that the official execution rate has appeared to lessen in recent years, suggesting, at a minimum, that the velocity of using hard-core criminals as an organ source is not increasing but decreasing. Yet the larger problem of using death-row prisoners and hardened criminals for their organs is structural and it is long-term; due to a myriad of health issues, only a small number of China’s death row inmates can actually be used as healthy organ donors. As per the criteria for organ transplants, people with the following medical conditions cannot become donors: fatty liver, hepatitis B, hepatitis A, hepatitis C, cancer, infections, diabetes, a history of cardiovascular diseases, HIV antibodies, syphilis antibodies, hypertension, heart illnesses, tuberculosis and a history of kidney and liver diseases. David Matas estimates that these factors combined create a situation where it would require ten death-row prisoners for one organ recipient. · In China, about 9% of the population carry the hepatitis B virus, a total of 120 million people; the hepatitis C virus infection rate is 0.43%; A focus on Chinese cities found the infection rate of Hepatitis B markers to be above 60%. · “According to several urban population sampling surveys, the Chinese adults’ fatty liver prevalence rate is 12.5% and 35.4%. Fatty liver has replaced viral hepatitis to become the most prevalent liver disease in China’s population.” Professor Zeng Minde, the honorary leader of the Fatty Liver and Alcoholic Liver Disease Study Group at Chinese Liver Disease Association of the Chinese Medical Association, said that since in China the prevalence rates of obesity and type 2 diabetes had showed a significant growth trend, it is expected that in the near future, the prevalence of fatty liver would rise. In the December 2008 issue of The Lancet, Huang Jiefu published an article entitled “The Chinese Government’s Organ Transplant Policy.” The article stated, “In China, more than 90% of transplanted organs are obtained from executed prisoners. ” However that percentage has been systematically rejected by independent experts. For example, in 2009, Minghui.org published the article “Falun Gong Practitioners Systematically Murdered for Their Organs: Refuting the Chinese Regime’s ‘Death Row’ Explanation” (http://en.minghui.org/html/articles/2010/1/5/113633.html). According to the article, after analysis, it was concluded that even with the largest number of death row inmates (10,000 per year) and the largest proportion of death row inmates providing organs, between 2003 and 2006, the CCP still had obtained 45,000 organs from unknown sources (a similar finding to the Kilgour/Matas estimate of 41,500 over the period 2000 to 2005, and Ethan Gutmann’s survey-based estimate of 65,000 between 2000 -2008). The organs obtained from private sellers were very few and insignificant even based on the reports by CCP’s official media outlets: The state-controlled press has produced a few high-profile reports on individuals selling their own organs. However, the quantity was so miniscule that they could not even be expressed as a percentage of the 10,000 organ transplant donors. Clearly the reports were essentially meant to be anecdotal rather than numerical. As there were no follow-ups by the officials, the reportage appears to have been an attempt to create a brief obfuscation or a throwaway explanation for Western reporters. With Nine Years of Investigation, the WOIPFG Possesses Sufficient Evidence to Show that the CCP has been Harvesting Organs From a Large Number of Living Falun Dafa Practitioners. In March 2006, the WOIPFG started an independent investigation. In more than 9 years, it has released more than 40 investigative reports on the CCP’s suspected involvement in organ harvesting from living Falun Dafa practitioners. · The trajectory of the medical “gold rush” in harvesting corresponds with the trajectory of Falun Gong practitioner incarceration. · The organ harvesting of Falun Gong practitioners, particularly the exploitation of “nameless” practitioners, filled any potential gap in organ supply. ·Organ harvesting of living human beings became the default procedure throughout China. · Official attempts to present alternate organ sourcing scenarios for the “gold rush” collapses under scrutiny. In the remaining chapters we will present detailed evidence on the complicity of the Chinese State, the full scale of the CCP’s organ harvesting from living Falun Gong practitioners and, most important, why we believe the practice is ongoing. 《China Liver Transplant Registry》Statistical-In mainland China there are 5680 cases of liver transplantation from January 1,2005 to July 24,2006. 《China Liver Transplant Registry》Statistical-The register of Liver transplantation cases in mainland China. Professor CHEN Jinghua won the American Kidney Foundation "International Medal for outstanding achievement", Zhejiang University Affiliated Hospital Nephrology Center ESRD treatment technology by the international medical community's attention. “Year-end summary of the General Assembly” on January 5,2006. “Four cases of kidney transplantation complication Pneumocystis carinii pneumonia.”Author: MING Aimin, LIN Minzhuan, ZHAO Ming, YUE Liangsheng, GUO Ying, XU Yongkang. Summary of kidney transplant. Issued Date: July 16, 2009. “The 309 Hospital of Chinese People’s Liberation Army”Summary of Organ Transplant Center. November 17, 2010. The Second Human Organ Transplant Training Meeting hosting by Peking University. http://www.shxkyy.com/ “Shanghai Chest Hospital”. Lung transplant specialist Introduction. “LABORATORY MEDICINE AND CLINIC”2008, Vol.5, Issue 07, P.396-398. “Clinical studies in highly sensitized recipients of kidney transplantation.”Author: SHUAI Li, GUO Cuihua, YUAN Xiaopeng, GAO Wei, WU Zhaoxiang. “CHINA MODERN MEDICINE”2009, Vol. 16, Issue 04, P.12-14 “The treatment of Biliary complications after liver transplantation” Author: QIN Jianjie, XIA Yong xiang, WU Zhengshan, ZHANG Feng, WANG Xuehao. “GUANGDONG MEDICAL JOURNAL” 2006, Vol. 27, Issue 05, P. 725-726. "Elderly military doctor in the Shenyang Military Region Testifies on the Inside Information about Sujiatun Concentration Camp." The Epoch Times. http://www.epochtimes.com.hk/b5/14/2/18/190724.htm Feb.18, 2014. "Military Doctor Discloses the CCP's Process of Stealing and Selling Organs Harvested from Falun Gong Practitioners." The Epoch Times. “Tengxun News” Red Cross: National Registry of Organ Donation breakthrough 35,000. From China News Network. March 31, 2015. “Report into Allegations of Organ Harvesting of Falun Gong Practitioners in China”Author: David Matas and David Kilgour July 6,2006. “The New York Times” in China billions of people with diabetes, the proportion of ultra-USA. September 10, 2013.